Neil Crafter has solid golfing credentials, with an impressive Amateur record and strong family ties to the game. His design work in Australia has largely involved redesign jobs and the occasional new course project – such as Fleurieu (now Mount Compass) close to the city of Adelaide. In Asia he and his team have been more prolific, involved in the design and construction of a handful of tracks in developing markets. 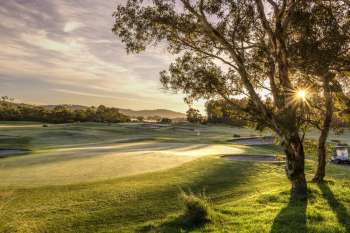 Crafter and his partner Paul Mogford are best known for their redesign work at the Glenelg Golf Club and also the subtle and sensible tweaking they made to the great old links at Barwon Heads, where they also added a new nine-hole pitch-and-putt course. 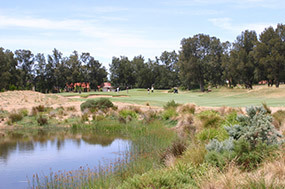 The firm was also involved in the restoration of Australia’s oldest golf course at Ratho in Tasmania, and in 2015 were appointed as consulting architects at The Metropolitan Golf Club. For further information about Neil Crafter, and an independent appraisal of his design portfolio contact the Global Golf Group.